The Agents of SHIELD panel at San Diego Comic Con did not reveal much but it did reveal one huge thing. That is the name of a character in Season 3. The tweet says Lash will join the team, however I think he will most likely be one of the season's villains. There are a ton of implications to this announcement. I have seen multiple blogs post erroneous facts about Lash. For some reason many are confusing him with Dante. So be careful what you read. Lash is an old Inhuman but with a new publication history and that seems to confuse people. He is part of a splinter group of Inhumans called the Lor Tribe that believe that only a select few should go through Terrigensis (The process that changes Inhumans). This differs from the main group of Inhumans on Attilan who effectively all go through Terrigenesis. Lash is ardent believer in this philosophy to the point where he will single-handedly execute those he deems unworthy of undergoing the process. Lash is going to work great with the events that transpired toward the end of the season. Terrigen laced fish oil tablets were made that people will buy across the world. Those who have Inhuman genes will undergo Terrigenesis and become full fledged Inhumans like Skye. This is very similar to the events where Lash appears in the comics. Lash appeared during a time where many new Inhumans are cropping up due Terrigen Mysts being spread all over the world. As a member of the Lor tribe, Lash hates the idea of the unworthy going through the process. He goes around the world finding the new Inhumans. He kills those he deems unworthy, and recruits those he likes. For Agents of SHIELD these new Inhumans will appear in an interesting environment. Coulson/Skye will be searching for powered people to create a new super team. Ward will be looking for powered people to rebuild his version of Hydra. There will also be other Inhuman communities that will be shaken by SHIELD's conflict with Jai Ying and by a surge of new Inhumans. 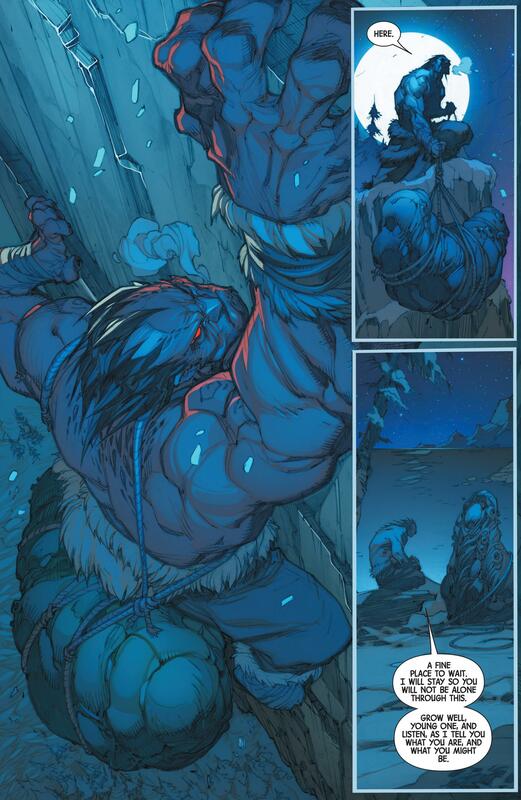 One of the leaders of those Inhuman communities will likely be Lash. I think it is very likely that he will be out, hunting down new Inhumans either to fill his own ranks, or to eliminate them. Lash = Good or Bad? I find it very interesting that the AOS panel said that Lash would be on the team. Philosophically, he would seem like a tough fit with Coulson and Skye. Could he in fact be on a different team that believes in tightly controlling powered people? This would seem to fit with philosophical differences in Captain America: Civil War. Do we control all powered people or let them roam free until they do bad things. There could be two Agents of SHIELD teams one that takes each side during the Civil War film. I have a theory that the Kree stone that ate Simmons at the end of Season 2 is Eldrac the Door or a similar character/ device. I believe it took Simmons to a group of Inhumans like the Royal family or .....the Lor tribe? This would be a group that other Inhumans view as dangerous. It seems to me given this news that Simmons could be transported to Orollan the home of the Lor. Where she will meet Lash. Why this makes even more sense is that Simmons seems to share the view of the Lor tribe that random powered people are dangerous and she believes there should be order and control behind it. This is very much in line with the views and philosophy of Lash.